Founder and Owner of Initiative Real Estate, Inc.
Julie was born and raised in Liverpool, England. After finishing her education in the United Kingdom, she travelled extensively across the globe, living for extended periods of time in Belgium, Germany, Spain and the Canary Islands. Ultimately, Julie's travels led her to the United States, where she met her husband. It was here that Julie found her passion, Real Estate. She knew, however, that the Real Estate business was much more than selling property; it was really about making people's dreams come true. As part of her continued commitment to her clients, Julie added the Risk Management Designation RMS, and the Certified Residential Specialist Designation CRS, to her resume. The RMS is a cutting-edge certification created by local real estate and legal experts, to help Realtors enhance their industry knowledge. Less than 1% of all San Diego Realtors are Risk Management Specialists. The CRS is the highest Designation awarded to sales associates in the residential sales field and recognizes professional accomplishments in both experience and education. Less than 3% of all Licensed Realtors are Certified Residential Specialists. Julie is a member of the California Association of Realtors, the National Association of Realtors, and in the past has served as Director on the Board of the British American Business Council as well as the San Diego Blood Bank Foundation Board. To become more involved with the community, Julie joined the Prevent Drowning Foundation of San Diego formerly the San Diego Junior Lifeguard Foundation and serves as a Board Member. Building a successful Real Estate firm remains Julie's focus. Realizing that no two clients are the same, Julie believes in customizing a plan for each person or couple-based on their needs. 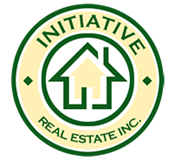 At Initiative Real Estate, there is no "cookie cutter" approach. Instead, Julie offers a unique and rewarding experience. Julie understands that everyone's dreams are different, and she prides herself on providing a diverse service to her wide range of clients, whether they are looking for a house in the suburbs, a downtown loft or a commercial property at the beach. Julie is ready to offer her experience, her expertise and her support when you are ready to start chasing your next Real Estate dream!